You’ve cruised over the beach in myriad ways. Private plane. Kanye’s jetpack. The Balloon Boy tribute ride. Everything except a 246-foot zeppelin, also known as the world’s largest airship. 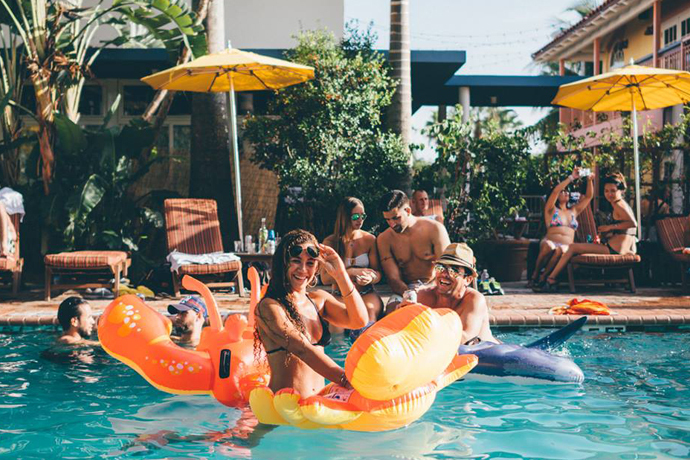 Until now: Airship Ventures Farmers Airship is taking reservations for South Florida tours, kicking off tomorrow and lasting through Sunday. This is your chance to ride in one of only two zeppelins currently flying today and the only such ship in the US. You’ll recall that it levitates by inflating with helium rather than by running on jet fuel. This gives your ride a sublime, floating quality, as you sail over the sandy stretches of A1A and out west over the urban landscape. Your journey begins at North Perry Hollywood Airport, where you’ll board the 12-seat gondola outfitted with leather chairs and 360-degree views (like first class, but without a coach section in back). If you’re with a date, stake out the rear love seat that flanks a panoramic, wraparound window. From there you’ll begin your ascent 1,200 feet over Fort Lauderdale beach, making your way over the Intracoastal Waterway and down to South Beach. Depending on the tour, you could be up in the air from 45 minutes to an hour and a half. As you begin your descent, the crew will pop a bottle of champagne and serve your victory toast. Probably best not to mention the Hindenburg. 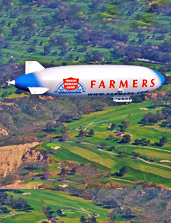 Note: <a href="http://www.airshipventures.com/cal/" target="_blank">Airship Ventures Farmers Airship</a>, available May 18-22, $375-$750/person, 650-969-8100, ext 111<br /><br /><strong>UD Hookup</strong>: For Wednesday and Thursday tours one hour or longer, purchase one at full fare and receive 50% off a second.